The poor relation? With prices of the E83 X3 – BMW’s unloved four-wheel-drive soft-roader – at an all-time low, Chris Graham discovers whether it’s now worth a punt. The idea of the E83 X3 was that it should slip into the BMW model range beneath the X5 E53, offering customers the option of a smaller, sports activity vehicle providing comfort, quality and decent off - road ability. The trouble was that, rarely for BMW in modern times, things didn’t quite go to plan. The new model – previewed at the Detroit Motor Show early in 2003 and put on sale that autumn – got off to a terrible start with the motoring press. To begin with, there wasn’t as much clear air between it and the X5 as was thought desirable; the X3 was only a few centimetres shorter and narrower, yet actually offered a larger boot and more headroom for rear seat passengers. But such subtleties paled into insignificance compared to the vehicle’s looks and how it performed on the road. The testers criticised the downmarket feel created by the dowdy, matt plastic front and rear bumpers, wheel arch trims and sill covers, as well as the lack-lustre interior. But the worst of their vitriol was reserved for the ride, which was described as ‘bone-shaking’, even on non-sports models. Passengers, it was claimed, would need Aspirin with them at all times when in the new car! 2003 xActivity X3 concept presented at the Detroit Motor Show in January. The 2.5- and 3.0-litre petrol models launched in September. 2004 2.0d model arrives with a Sport version following later in the year. 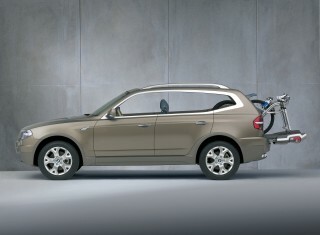 2005 Petrol-powered 2.0i model arrives in September. 2006 Interior and exterior improvements made across the range as part of the model facelift. Rangetopping 3.0sd introduced. 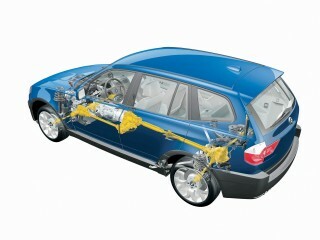 2007 More power and torque for the 2.0d model, as well as lower emissions. EfficiencyDynamics introduced. There was a perception that too many corners had been cut with the design and manufacture of the X3, and that it lacked the stylish appeal of the already successful X5. The proliferation of hard plastics inside combined with a relatively high purchase price, to create a model that seemed to have let the side down. There were even question marks hanging over the X3’s abilities off -road, despite its permanent but cleverly variable xDrive four-wheel-drive system. 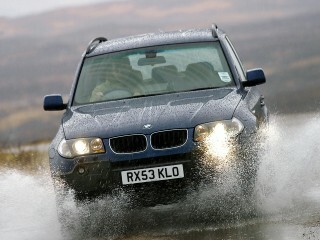 To recover from such a damning assessment would be hard for any vehicle and, not surprisingly, the X3 struggled. In reality, it wasn’t until the arrival of the much-improved F25, second-generation model in 2011, that BMW managed to turn the X3 into the vehicle that it should have been from the start. Nevertheless, things are as they are and, with nearly 16 years having elapsed since the X3’s introduction, our aim with this article is to assess just how the E83 has fared. Has the model been able to claw back any of that lost dignity, and what’s its reputation like among those who have to service and repair it? Also, how are the secondhand values holding up, and is this first generation machine now a used treat for the discerning bargain hunter, or a model that should be avoided at all costs? Andy Walker, who runs West Sussex-based independent BMW specialists, Walkers Autotech (walkersautotech.co.uk, tel: 01403 751646), speaks from experience regarding the X3. 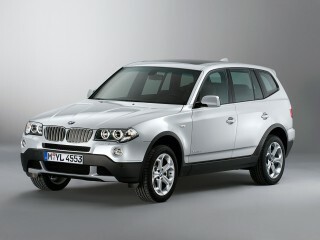 “I believe that BMW focused too much on creating a cheaper X5 when it designed the E83 X3 on E46 3 Series underpinnings. 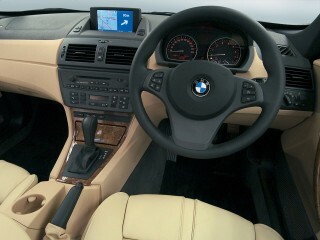 The interior quality was more akin to what you found in a 1 Series of the period, and nowhere near the level of the X5. There was too much hard, grey plastic, and yet it certainly wasn’t a cheap car to buy. The 2.0d Sport model, for example, which was launched in late 2004, cost a hefty £28,400. No diesel engines were available when the X3 was launched; instead, buyers had to choose between M54 2.5- or 3.0-litre petrol power. A four-cylinder, 2.0-litre N46 petrol version followed in 2005, together with the M57 3.0d model. Then, in 2006, there was a facelift together with the introduction of the M47 2.0d and the 286hp 3.0sd models. All five were tried and trusted engines, but now – some 13-16 years down the line – mechanical issues are unfortunately common. Andy says that things are a good deal more encouraging with the three-litre diesel, though. This engine makes for a more reliable vehicle, and doesn’t suffer with nearly as many characteristic failings. As far as the petrol engines are concerned, the 2.5- and 3.0-litre petrols are both pretty decent, too, but very thirsty and somewhat lacking in power. So, dealing with the worst first, let’s start with the M47 2.0-litre diesel; the same motor that was fitted to the E46 320d. The early version produced 148hp and was a decent powerplant in performance terms. It was then uprated in late 2006 to generate 163hp, and remained a trusty unit. However, it was the ancillary components that caused the trouble. Andy told me that these engines “suffer very badly with fuelling-related carbon build-up, to the point that they won’t run properly. Sorting this out requires cylinder head removal, and typically costs £1,750. “We’ve also seen a lot of problems with the transfer box fitted to the 2.0d. BMW decided to go with a lower specification unit on this model, and I really don’t think that it was up to the job. Excessive wear means that many have required a rebuild (at a typical cost of £1,000). “Although this X3 is a four-wheel-drive vehicle, it’s the rear wheels that do the majority of the work, most of the time. It’s only on inclines, during hard acceleration or in instances when traction is lost, that more drive is transferred to the front wheels. While this isn’t an inherently complicated system, the hardware just doesn’t seem up to the job on the 2.0d model. “I also don’t think that the clutch and flywheel assembly was man-enough, on this model, either. Things don’t break themselves into pieces, but you typically end up with flywheel chatter, or a bad vibration, as a tell-tale sign of the wear. “As I mentioned before, though, the engine itself is very strong indeed. It doesn’t tend to leak or burn oil, and the unit itself is perfectly capable of running to 200,000 miles with ease. But the failings along the way are likely to be many and expensive. There’s also the wellknown swirl flaps issue to be considered, plus problems with the electronic turbo actuators. These are a common failure point that can be quite tricky to diagnose for less experienced workshops. The E83 X3 entry level, as you would expect, is the 2.0d and you can pick up a highmileage 2004 model for under £2,000 these days. A few hundred more will buy you a 100,000-mile 2.5- or 3.0-litre petrol model. You’ll need £4,000 to get into a 3.0d, but it’s likely to have an extremely high mileage at that price point. Even spending £6,000 doesn’t guarantee a sub-100,000 mileage total. If you want a ‘one lady owner’ model with under 50,000 miles, I spotted one for sale for £14,000! Interestingly, the high-performance, twin-turbo 3.0sd model appears to be something of a bargain. I found a smart-looking two-owner car with only 60,000 miles on the clock and a full service history, for a tempting £7,000. But, there other problems to watch for, too. According to Andy, these include whining rear differentials, which can be found across the model range. Mileage is obviously a factor, but so too is the ‘sealed-for- life’ nature of the diff’. The complete lack of oil changes takes its inevitable toll. Underneath the car, a pre-purchase inspection needs to include a careful check of the rear coil springs, which have a common tendency to break. Look for a difference in the ride height between the rear offside and nearside or, alternatively, get down and reach up to feel the coils for a broken end. You may also hear a metallic rattling noise from the rear end during a test drive. The rest of the suspension set-up appears to be reasonably durable and, apart from the occasional leaking shock absorber that requires replacement, major work in this department is rare. 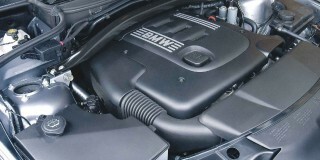 As far as the petrol engines are concerned, the M54 2.5- and 3.0-litre, six-cylinder units are tried and test motors. Although this engine – in both capacities – is essentially bombproof, it doesn’t really develop enough power or torque for a four-wheel-drive vehicle of the X3’s size and weight. Few buyers bothered with the 2.5i version, so the 3.0i is what you’ll find most of in the classifieds today. However, the work this engine has to do to push the X3 along at anything like a decent speed, is likely to result in just 20mpg. Although the three-litre diesel engine is pretty reliable, they do leak oil, and high-mileage examples also suffer with valve stem oil seal wear. This is easy to check for by getting the engine warm on a test drive, letting it idle for a couple of minutes, then booting the throttle to rev it. If this is accompanied by clouds of blue smoke from the exhaust, then the valve stem seals will be letting oil past. The petrol engines are also pretty enthusiastic consumers of oil (regardless of the valve stem seal wear situation), and BMW suggests that a litre every 1,000 miles is acceptable. One practical consequence of such a high consumption rate is that owners can inadvertently run lubricant levels very low. All model variants have quite reliable engine cooling systems although, being E46-based set-ups, split header tanks, faulty water pumps, perished pipes and radiator issues do occur. The high-performance 3.0sd model is relatively rare nowadays, and features twin turbos which, oddly, don’t give nearly as much trouble as those on the lesser models. There’s one small and one larger turbo on this M57 oil-burner, and both are durable units. Elsewhere on the engine, there are the same oil leak issues and the odd vacuum actuator problem to watch for but, overall, it’s a good, solid motor. The E83 X3 was available with both manual and automatic transmissions, with the exception of the 3.0sd, which was auto-only due to its high torque output. The rarest of the bunch is likely to be a manual 3.0d model, and the good news is that both auto and manual gearboxes are reliable units. It’s really only the clutches that can suffer, as mentioned earlier. You can easily check for this on a manual car by resting your foot gently on the clutch pedal with the gearbox in neutral and the engine at idle. If light pedal pressure produces a clattering noise, then a new clutch and/or flywheel will be required, which will cost about £1,200 to buy and have fitted. The braking system was E46-derived, so shouldn’t be terribly expensive to sort out if work is required. While you may come across the odd warped disc or seized caliper, the overall set-up is generally reliable, durable and up to the job. The same applies to the electrics, with alternator/battery/ charging problems being very rare. Externally, the headlamp lenses are made of plastic, so can become quite ‘milky’ with age. However, they’re usually recoverable with some careful machine polishing. While some of the higher-spec models were fitted with xenon bulbs, most E83s had conventional halogen lighting. The most important thing for buyers to check for is water inside the headlamp units, because they are expensive to replace (halogen £400, xenon £750). The exhaust systems (particulate filter on the 2.0d aside) are durable. However, it’s always worth checking that there’s a DPF fitted at all. Removing it was a popular tuning mod but, nowadays, its absence will lead to an MoT failure. Replacements cost about £1,600 from BMW (fitted), or £500 if you source and fit an aftermarket part. Fortunately, in Andy’s experience, the latter seem to perform perfectly well. Inside, the equipment and instrumentation are pretty durable. You might find the odd pixel out on either the radio display or in the main instrument binnacle, but these can be repaired nowadays quite cheaply. The DVD-based sat-nav used was generally reliable, too, although it will appear quite clunky and old-fashioned if you’re used to a modern BMW system. Update discs are still available, and the screen pops up out of the dash. If there’s a sunroof fitted to the car you’re looking at, make sure it works and be on your guard for water leaks. A replacement sunroof cartridge from BMW costs at least £1,500. It’s the same panoramic set-up that was used in the X5 and the E91 3 Series Touring. It’s not a hugely common option because it was expensive at the time but, if one’s fitted and inoperative, then having it rebuilt by an independent specialist will cost £1,000. Alternatively, having a new one fitted by BMW will set you back £2,500! While the electric motors are reliable, the problem lies with the plastic runners and guides that the glass panels run in. As the plastic ages, hairline cracks develop and these affect the alignment of the mechanism. Everything begins to stiffen up, but the motors continue delivering maximum torque so that, eventually, something snaps. Andy says that, most commonly, this happens when you try closing the tiltedopen rear glass, and it gets stuck half open. Usually, they can be wound shut manually (assuming the mechanism isn’t completely shot). So, a sunroof that’s not working will provide a good bargaining tool, unless you’re happy to live with it not working. The other related problem is that the drain tubes in the channels around the sunroof sections become blocked. Water leaks into the cartridge around and through the felt seals, then has nowhere to go apart from down into the car. This happens even when the sunroofs are closed and, typically, the water will run across the plastic-backed headlining and down into the rear corners of the boot (behind the side bins and light units), soaking the sat nav module as it does so. One other anomaly with this model of X3 concerns the rear washer fluid pipe, which is routed through the body of the car on its journey to the rear screen. Unfortunately, it has an irritating habit of springing a leak at a joint in the driver’s footwell. So, if you smell screenwash when sitting in the driver’s seat, or the carpet is damp, then this is the likely cause. Trouble can strike during cold weather, when the pipe/nozzle at the back gets frozen, and the wash function is repeatedly triggered. The pressure that builds in the pipe exposes the weakest point, which tends to be the joint in the off side front footwell. There’s no indication that this has happened, of course, apart from a lack of fluid reaching the rear screen. So just a few pulls on the column stalk can be enough to inadvertently soak the footwell. In the past, Andy has glued this joint together, to avoid the risk of this irritating failure. The bottom line with the E83 X3 is that it’s a model that’ll never become collectable. But, if you’re looking for a ‘soft-roader’ with decent space and rugged construction, then the low prices we’re now seeing can make this car a cost-effective option, assuming you buy with care. To end on a positive note, though, it’s clear that there are bargains to be had from the first gen X3 range. Avoiding the 2.0d model is a sensible move for starters, unless you have deep pockets and the patience of a saint. The sweet spot is arguably the 3.0d; it combines decent fuel economy with good on-road performance. And, if you can find a manual version, then so much the better. But the E83 X3 is probably not the best car to buy on a whim. You need to go into the whole purchasing process with your sensible head on to avoid being tempted by the bargain-basement prices now being asked for early examples, and the under-powered petrols. But settle on a good diesel six and you’ll get a car that drives pretty well and is durable. It’s certainly not as comfortable or luxurious as the X5, but many find it more manageable, and it actually offers more space in some respects. So, if you don’t mind a bit of exterior plastic – or can find a model fitted with the body-coloured sports body kit – and are prepared to forgo a few modern car creature comforts, then an E83 X3 can certainly do a job today. Above: This is not the model designation badge you should be looking for when buying nowadays. Left: The E83 X3 is actually a pretty decent car to drive, especially if there’s a six-cylinder diesel engine under the bonnet. The facelift, which occurred in 2006, made an appreciable difference to external appearance. The interior didn’t escape the criticism, with contemporary testers concluding that it was far too basic for the price of the car, and that there was too much drab, hard plastic. Oddly, the X3’s boot is actually larger than that of the X5, and rear passenger headroom is better, too. Period road-testers criticised both the car’s hard ride as well as its lack of off-road ability. The M47 two-litre diesel has been the cause of untold misery for E83 X3 owners. While the engine itself is a tough unit, it’s the ancillaries that cause all the expensive trouble. The copious use of exterior plastic cheapened the look of the E83 X3, although BMW obviously included it with the best of practical intentions. 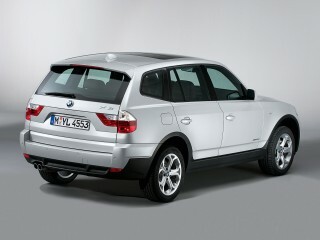 Many also concluded that the X3 lacked the X5’s stylish appeal. The rear side window design was also likened to something from Toyota! At the time of its launch, the E83 X3 was thought by many to be very much the poor relation of the already successful X5.